Hello from my tiny pottery studio in South East London. 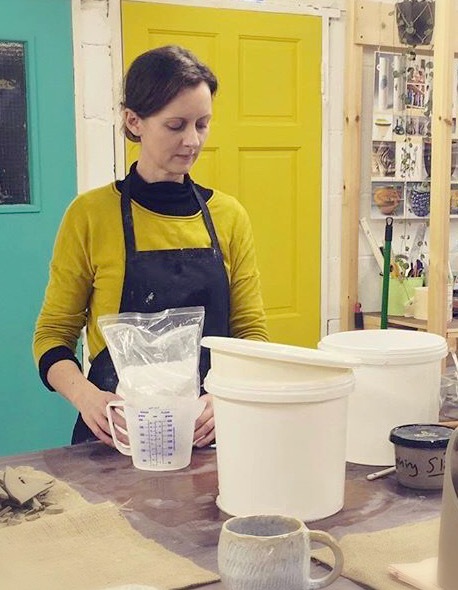 I'm Marianne and I am a small, independent ceramicist working primarily with earthenware. I am an implant from South Africa, and moved to the UK in 2002. Before this I completed a BA degree in Fine Art and continued developing my passion for ceramics by attending various adult education colleges in London. I discovered mold/ mould making in 2012, which really hit an obsessive nerve and since then I have been doing slip casting non-stop. I love the challenges my hand sculpted forms poses to the mold/mould making process. The final pieces are then completed with various surface decoration and fine detail sculpting before undergoing a two - three stage firing process. My current work can probably be described as decorative / functional - I have loads of other ideas which I hope to bring to fruition in the near future such as cups and plates - the possibilities are endless when it comes to ceramics! I draw inspiration from my African heritage, India and nature, specifically the Fynbos flora of the Western Cape where my family is from. Prices are an honest reflection of the time it takes to create the ceramics you see here. Handmade & slow made with care. Thank you for visiting!